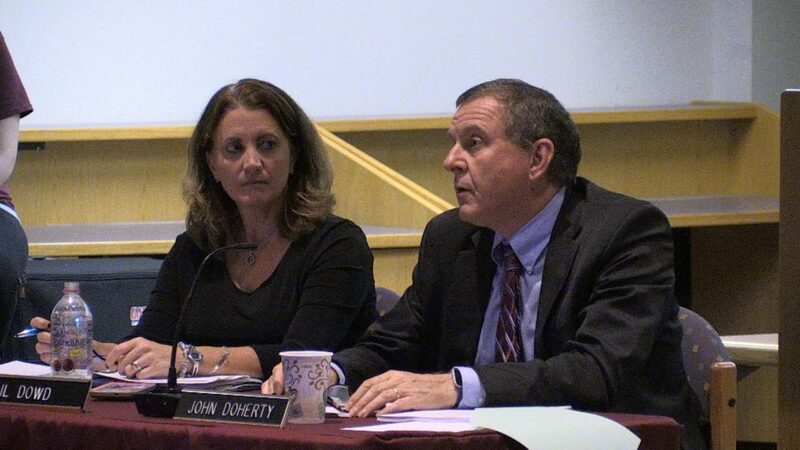 Superintendent of Schools John Doherty presented the results of the PRIDE survey to the School Committee on September 20. The survey, which was grant funded, was administered in June of last year to pre-school to high school staff, parents from kindergarten to high school, and students from grades six through eleven. Doherty described the survey, which measures the perceptions of the survey takers, as “anonymous, reliable, and valid.” “This is a snapshot in time.” Doherty continued. The survey takers rated questions on a scale of one to four based on how satisfied they are with current circumstances, with a score of 2.5 being the fulcrum between a good and concerning score. The survey was taken by 1,668 students and reported good scores in overall school climate, teacher/student relationships, and student engagement and support. Two hundred fourteen of 380 teachers returned the survey and reported positive results in general feelings about teaching, commitment, and trust in leadership. Lower scores appeared when asked about decision making on school planning and compensation. Doherty was quick to point out that concerns about compensation mirrored national results. He also shared that steps were being taken on the school building level to find out what areas the staff would like more input into when school planning decisions are made. 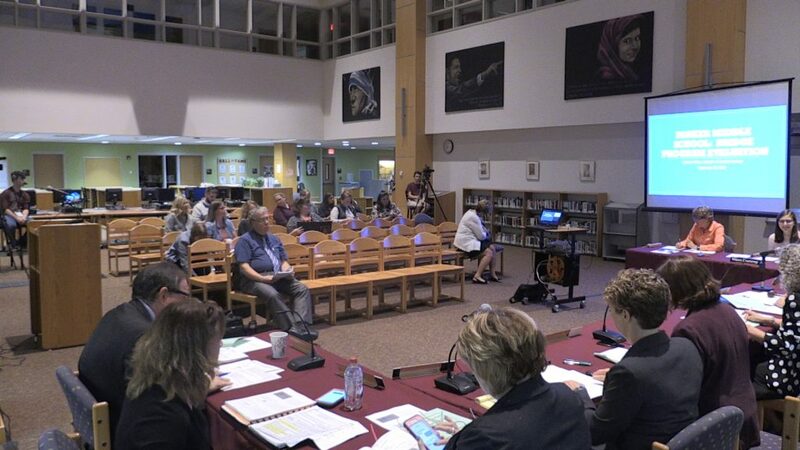 Doherty reported that these conversations will inform school improvement plans and initiatives. Five hundred thirty-three parents also responded to the survey. They were generally positive in their responses, especially in regards to school safety and learning challenges for their children. School principals will be reviewing the results for the purpose of integrating results in their specific buildings. Director of Student Services Carolyn Wilson presented the results of the Parker Middle School Bridge Program Review. The grant-funded review was authored by Dr. Melissa Orkin after spending multiple days at the school, sitting in classes, reviewing curriculum, and observing teaching practices. Orkin found that the program contains structural and essential foundational elements of a language-based program. She also made recommendations regarding continued assessment, integrated program, and use of graphic organizers. Based on the findings of the report, Wilson presented a plan of action that included finding and implementing an assessment tool based on student benchmarks and exploring the recommended Language Live curriculum to determine if it is a fit for Reading Public Schools. Wilson also indicated that there would be continued support and continuing education of instructors including continued work with Landmark School and attendance at the International Dyslexia Conference in Connecticut later this year. There is also a plan to include increased instructional support time in the 2019-2020 school year. A more comprehensive program description will also be created for the website to help aid in communication with parents. School Committee member Nick Boivin asked why Parker was singled out for review. Wilson responded that doing a review at the middle level provided the greatest opportunity to optimize the recommendations for all three levels of the program, which is also offered at Joshua Eaton Elementary School and Reading Memorial High School. During his report, Doherty took the opportunity to introduce Interim Director of Student Services Sharon Stewart to the community. Assistant Superintendent Christine Kelley reported that ELA and math curriculum guides for grades K-5 are expected next week. Director of Finance Gail Dowd shared that the school department ended Fiscal Year 2018 with a $229,000 surplus, which represents 0.5% of the total budget. 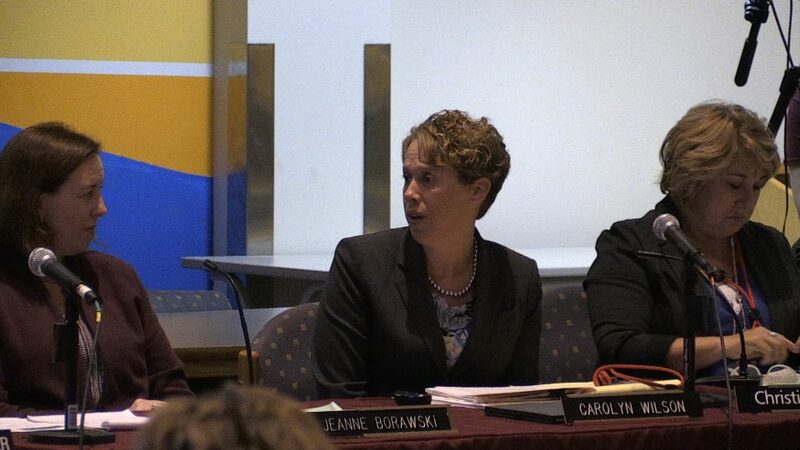 The School Committee adjourned to executive session at 9:30 pm.